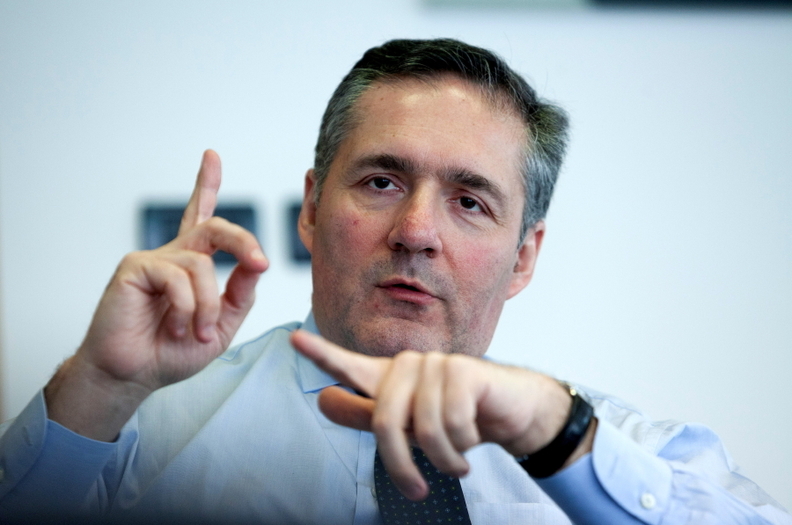 Altavilla joined Fiat in 1990 and has served as head of Fiat's China, Turkey and powertrain operations. He was responsible for developing alliances between Fiat and other carmakers including GM and PSA from 2000 to 2004 and also had leading role in Fiat's acquisition of Chrysler in 2008-2009. Fiat's new Europe chief, Alfredo Altavilla, faces many daunting challenges to turn around the automaker's struggling operations in the region. Carrying out Marchionne's risk-laden vision to transform the core Fiat brand from a mass-market brand into a profitable marque selling models based around the 500 and Panda minicars. Restoring Fiat's European operations to breakeven by 2015-2016 after a forecast 700 million euro operating loss this year. Delivering a successful relaunch of Alfa Romeo after previous attempts to revive the sporty brand failed. Shrinking Lancia to a niche brand based on the Ypsilon subcompact car as well as rebadged large cars from Chrysler that are imported from North America. Altavilla's work will not be simple or quick but some answers may be easier than others. Reducing Lancia to the Ypsilon model is a reality check and likely will not occupy a vast amount of Altavilla's time. The brand sells 80 percent of its volume in its Italian home market and six out of 10 Lancias sold are Ypsilons. Reviving Alfa Romeo will be difficult. The brand currently sells two models: the MiTo subcompact car and the Giulietta compact. Its volume this year is expected to be less than 100,000 units and the brand badly needs new vehicles to boost sales. The low-volume 4C roadster arrives next year but Alfa won't get a new volume product before 2015. Rivals such as Audi and BMW are continually expanding their product portfolios and sell more cars in a month than Alfa builds in a year. And Alfa has more problems than just a lack of new product. Improvements need to be done to its brand positioning, technology and dealer network. Fixing these areas will take at least 10 years. UBS wrote in a note to investors that Alfa's dealer network is a key obstacle to the brand's revival and the issue is not addressed in Marchionne's latest strategic plan, nor has it been tackled in the past. The reinvention of the Fiat brand around the Panda minicar, an extended 500 family and the Freemont large SUV/crossover is not as odd as it seems because the these three models currently account for most of the brand's sales in Europe. In the first 11 months, the three vehicles accounted for 335,260 of Fiat brand's 580,600 unit sales, according to JATO Dynamics. Marchionne plans to expand the 500 minicar range to include a five-door hatchback that will replace the Punto subcompact car. The Punto is currently the brand's No. 3-selling model in Europe after the Panda and 500. The idea to create a family of cars based on the 500 mimics what BMW has done successfully with its Mini brand. Altavilla's task will be to ensure that Fiat delivers the same consistency that BMW gave Mini. Marchionne has already warned that overextending the 500 family could be risky and costly. With its Smart microcar brand, Daimler tried to do what BMW did with Mini by adding a four-door car, coupe and roadster, but those models were dropped because of weak sales. Fiat has already begun to extend the 500 family with the 500L small minivan, launched in September. The 500L is still too fresh to judge whether it is a success or not but already critics have noted that it too closely resembles the Mini Countryman, at least from the side view. Here, there is little room for magic. Marchionne has promised the Italian government and unions that Fiat won't close any Italian vehicle assembly factories. The Cassino, Melfi, Mirafiori and Pomigliano plants have an installed capacity of about 1 million units, but is expected to build about 400,000 units this year. Analysts warn that Marchionne's plan is extremely challenging. UBS wrote in a note to investors: "Fiat did not quantify export targets, but we find it difficult to imagine more than 150,000 to 200,000 units a year at best. This means that Fiat will need to address capacity at some point in the near future." Barclays Capital said: "The majority of Fiat's competitors are pursuing the opposite strategy of trying to localize production wherever possible to hedge against currency risk." Barclays added: "Competitors have tried on numerous occasions but failed to push upscale, with the notable exception of Audi."